Not many dog breeds have as unique and proud a heritage as the white German shepherd. The breed had its beginning in Austria in the 19th century when the Queen of Hapsburg reputedly wanted white dogs – to match both the white dresses and white horses used by the family. The first German shepherds were imported into the United States in 1912 and in 1917 the American Kennel Club registered the first white German shepherds. Several movies made during the 1920s, such as “Rin Tin Tin” – the worlds first canine film star – helped to ensure their popularity with the public. Contrary to popular belief, white German shepherd dogs are not albinos. The white color comes from a distinctive gene that both parents would carry. 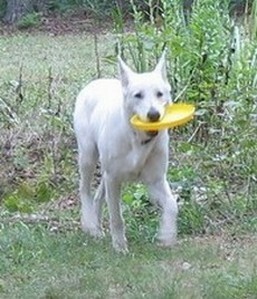 A common feature of many white German shepherd dogs is the “snow nose” – caused by a pigment that makes the nose turn lighter during the colder months. It’s no wonder German shepherds are so popular – apart from their distinctive appearance, they are among the easiest breed of dog to train. Many breeders consider them to be one of the top three most trainable breeds, along with the Australian sheep dog and the Labrador retriever. White German shepherds are also known for their loyalty and devotion – it isn’t unusual for them to form a strong bond with a trainer or handler. And not surprisingly, the breed also enjoys more than their fair share of wins at dog shows and obedience competitions. Although they are not instinctively fighting dogs, German shepherds can be protective and alert if necessary. They are also good with strangers as they are not usually nervous or apprehensive, but tend to be observant and watchful. White German shepherds are a little bit easier going than other German shepherd dogs, and are suitable for families with small children and other pets. Their intelligence, ability to learn and their general reliability make them extremely suitable for several different types of task. German shepherds were originally bred to be hunting dogs; they also make excellent sheep herding dogs. They have also become the most popular choice of breed for security dogs – as they are naturally responsive to commands and have a strong protective instinct. Many German shepherd owners firmly maintain that their dog only barks when absolutely necessary! They also make excellent seeing eye dogs – The Germans first introduced the concept by training shepherd dogs to assist soldiers who had been blinded in World War 1. The very first seeing eye dog was a German shepherd named Buddy in 1928, and the concept reached the United States in the 1930s. Today, white German shepherd dogs are understandably popular with dog lovers and dog breeders all over the world – they are beautiful to look at, well behaved, and a delight to train and own. 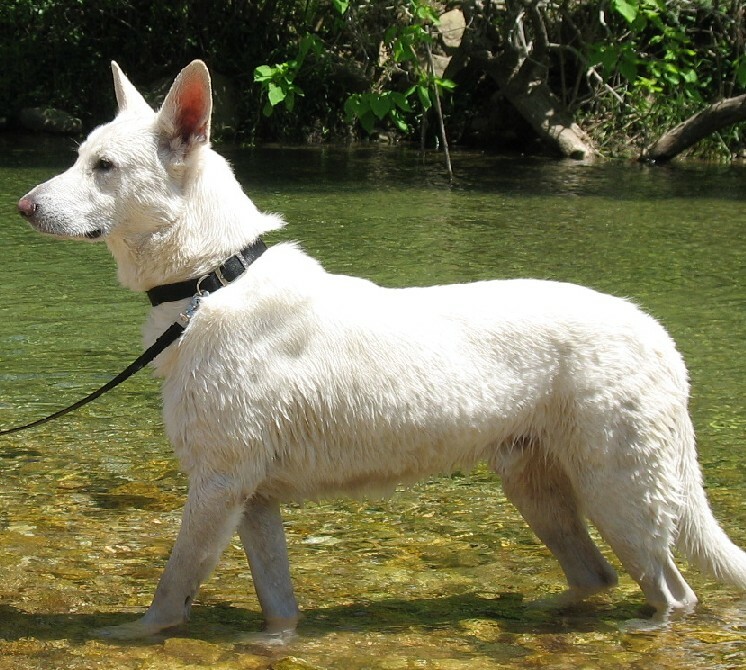 Is a White German Shepherd Right for Me?